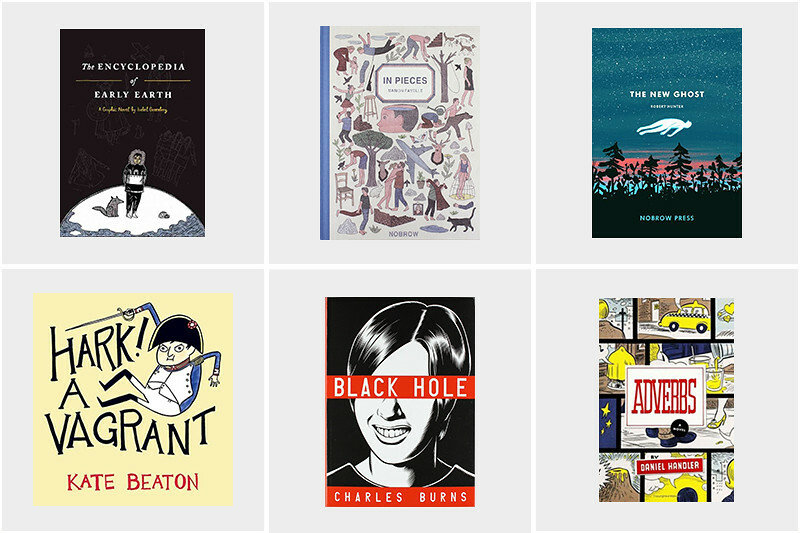 I haven't read any graphic novels in a long time; a while back I shared five of my absolute favourite graphic novels worth reading, here are a few I haven't read but desperately want to get my hands on. I'm currently reading Hark! A Vagrant and it is really good. It has great humor in it and I love how it features famous characters from history and great novelists in it. Read Black Hole a few years back and loved it. Black Hole is so good. Adverbs is also brilliant (but it's a proper novel, not graphic). I highly recommend Daniel Handler! Great list! If you like Hark! A Vagrant, then I recommend reading Nimona (http://gingerhaze.com/nimona/comic/). I've read Black Hole and it was really interesting. I recommend Fate of the Artist - it's a little different but another good one. Haven't read any of these (shame) but I'm putting this on my list! I've only read one graphic novel, 'Maus' by Art Spiegelman, and I would highly, highly recommend it. It's a true story about the writer's father's experiences in World War II and it's sad and harrowing at times but such an interesting, compelling read. 'Maus' has been on my to-read list for YEARS.. I can just never bring myself to read it although I know I will be completely moved by it. I ordered three graphic novels yesterday including two from above - I can't wait to read them! Oh, you must! I would recommend starting with The Sandman, it's my absolute favourite of all time. I'm looking forward to finally getting around to reading it. I can't wait to read it. I bought a copy yesterday; it's been on my to-read list FOREVER.